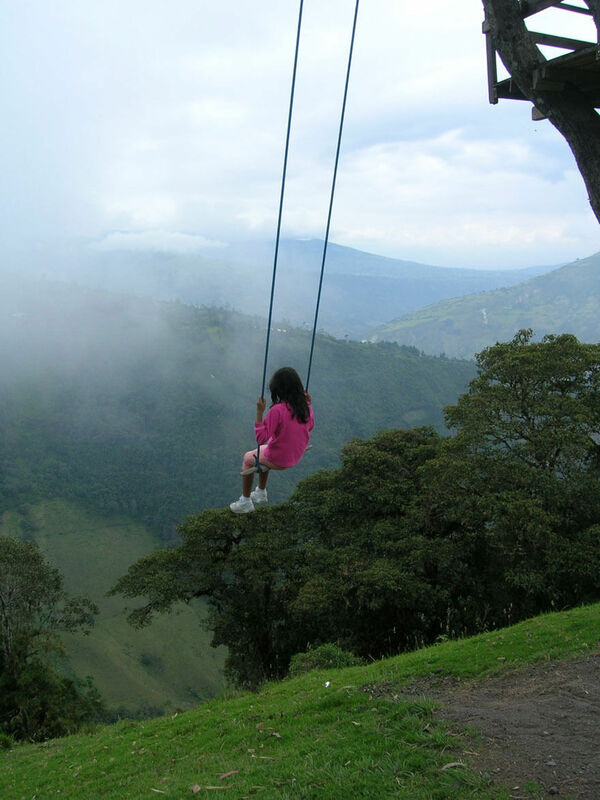 Remember when we were young kids how we used to love swings? 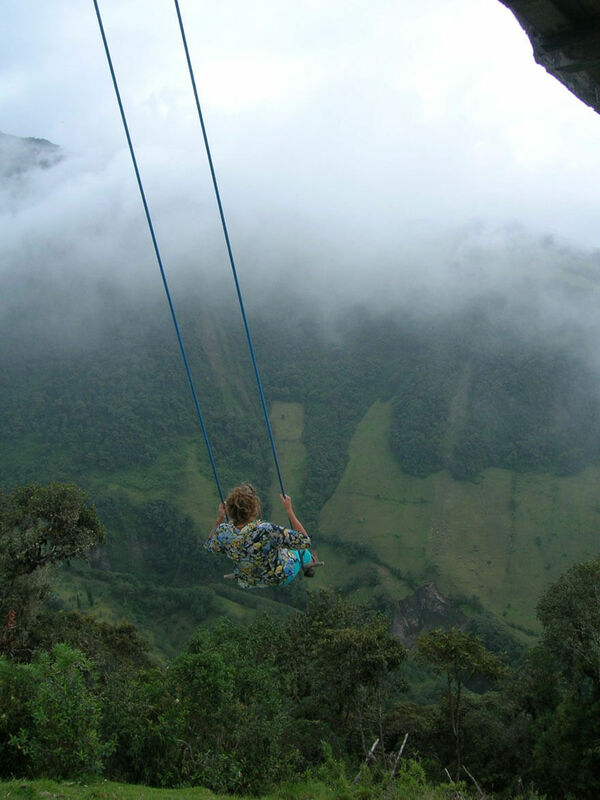 Well, the Swing at the end of the world is just like that, only it hangs off the edge of a steep cliff with a stunning view. 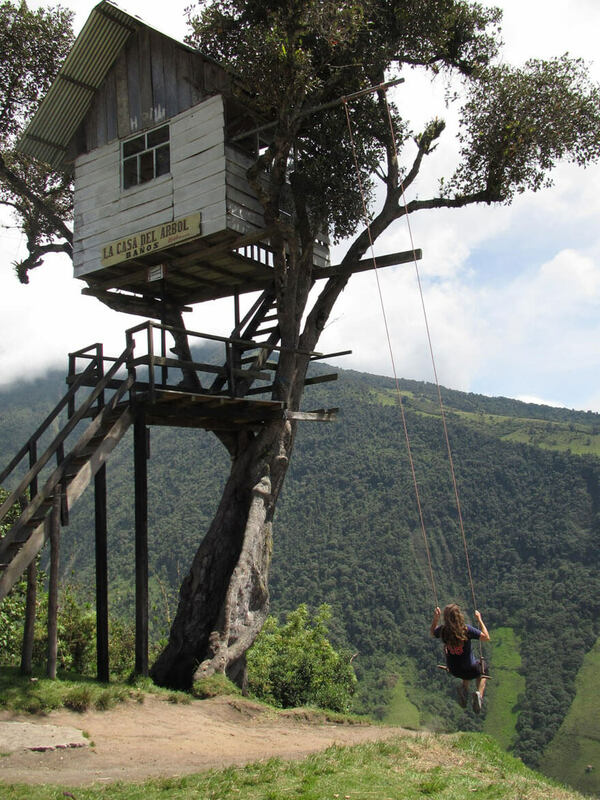 Located in Banos, Ecuador, The swing at the end of the world is originally called La Casa Del Arbol ( The Treehouse ) and we have to say it pretty much lives for its reputation. 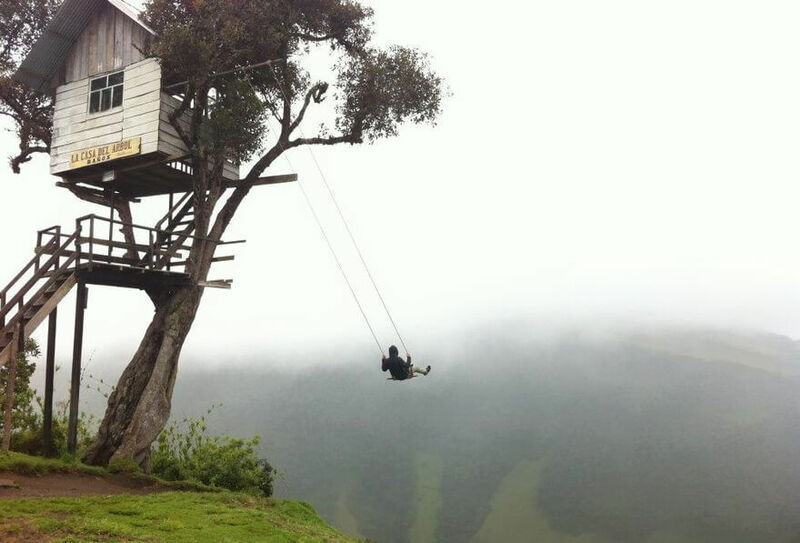 So what does the end of the world swing has to offer that’s so special? 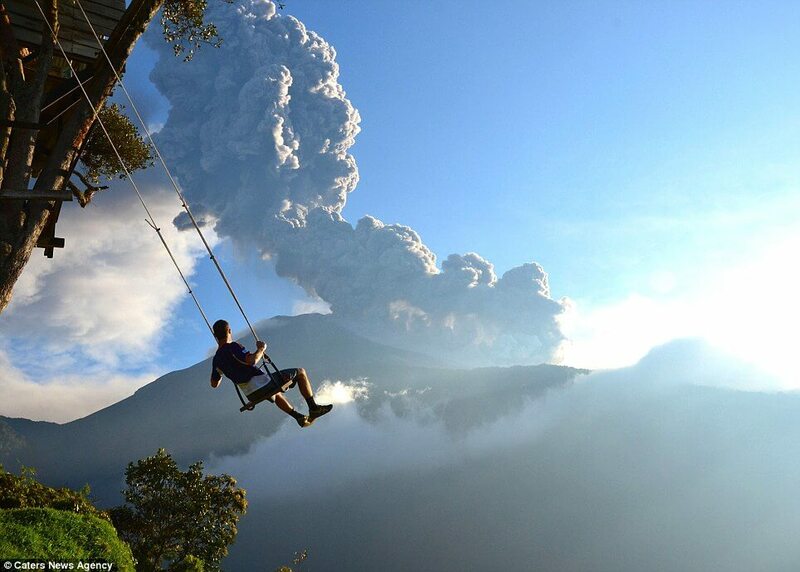 Well, the location of the swing is unique by itself, it stands at 2,600 meters above sea level and when you swing you get a chance to see the view of the Tungurahua Volcano. 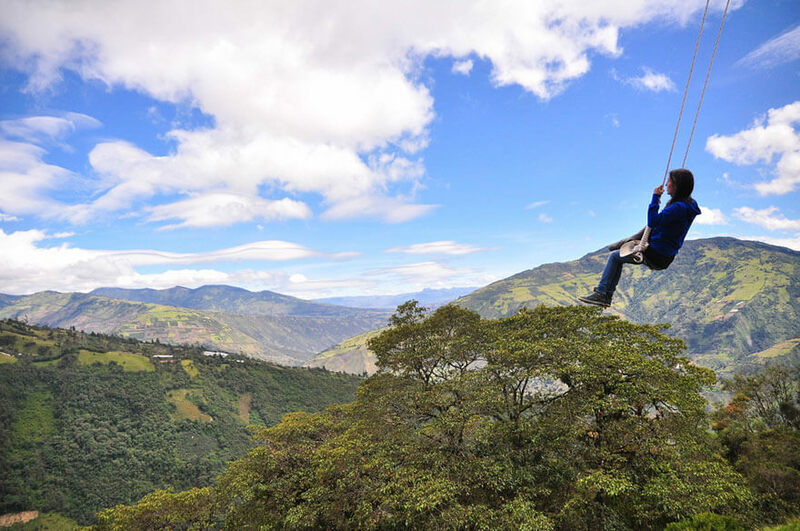 Now you might not notice it from the pictures below, but there is a pretty steep slope under the legs of the swingers, so if you happen to fall while giving it a swing, you could actually die adding an element of danger and rush to the experience. 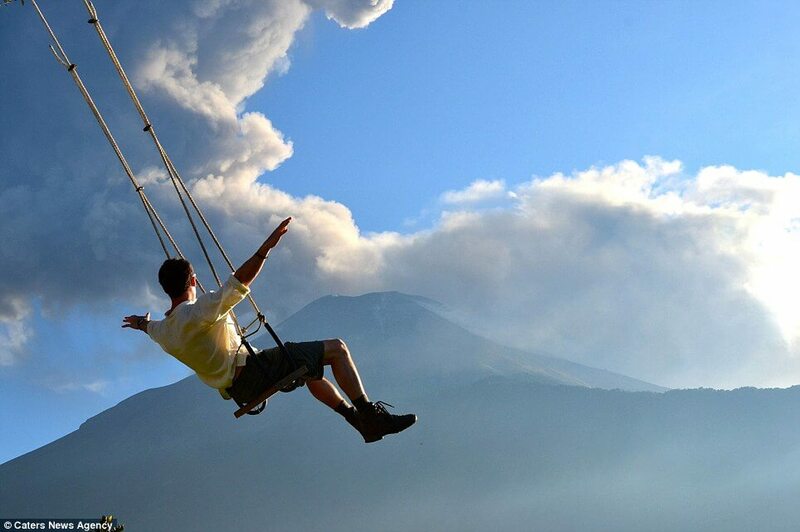 Probably the reason many extreme adventures from all over the world come to give this swing a try. 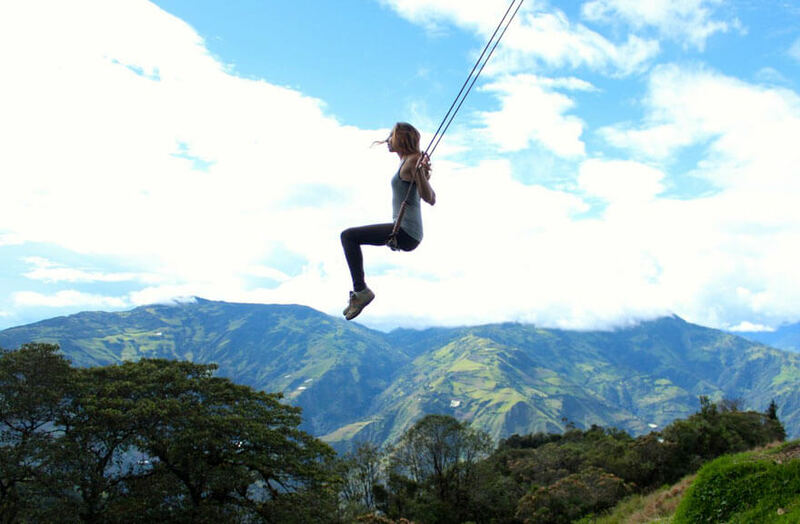 I havn’t got the chance to try it myself ( yet ) but it has been told you feel a rush of adrenaline and a deep feeling of freedom. 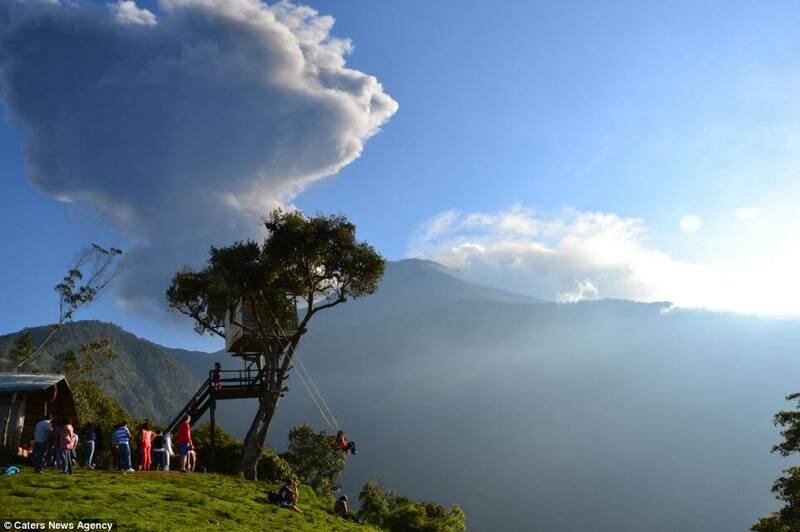 Now if you’re not up for a scared to death experience or just don’t like to swing, La Casa Del Arbol is an awesome place to hike and travel and enjoy the amazing views without swinging, so don’t feel obligated to try it if you want to go to the area for the hike. 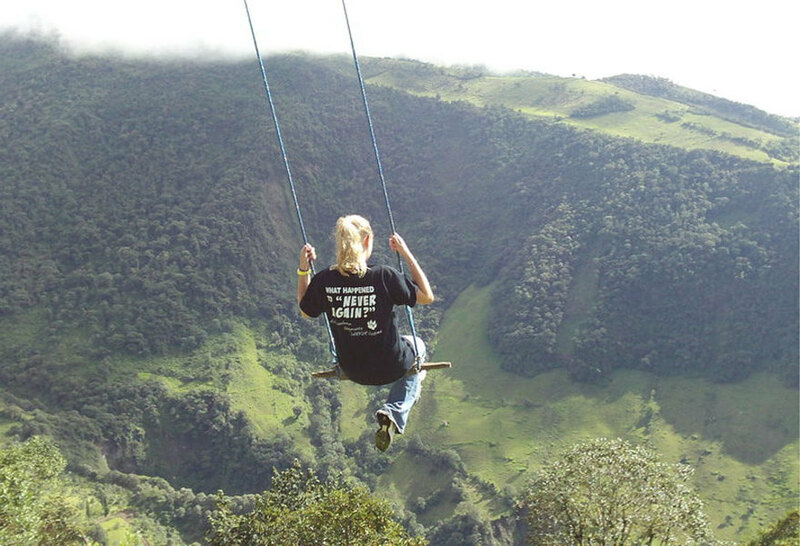 The swing at the end of the world is located deep in the Ecuadorian wilderness. 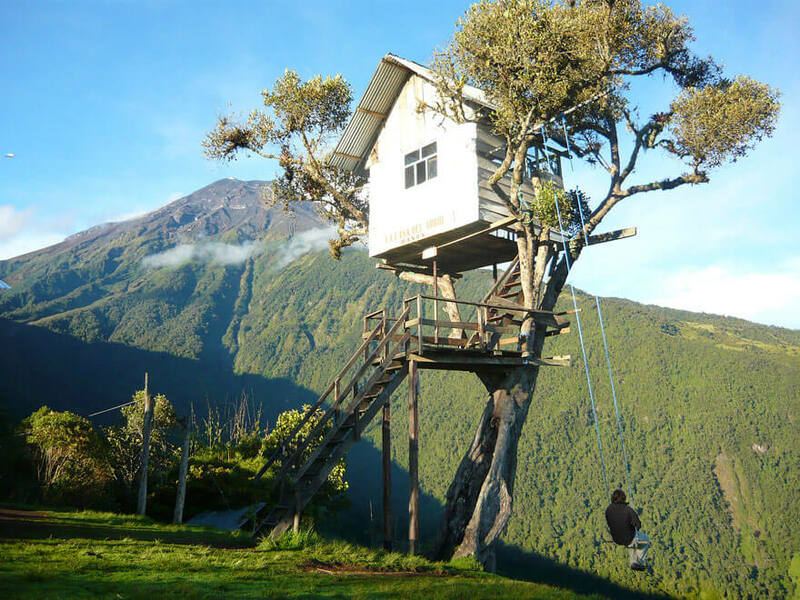 The actual place is a seismic monitoring station inside a tree house called Casa Del Arbol. The swing is hanging from one of the tree’s thin branches, giving the impression like it’s about to fall at any moment. The riders just run and swing over the canyon with no fear. It’s unclear who set the swing up, could be one of the seismologist working on site.